A speaker on XL7 and related Health Informatics from EPIC Corporation, makers of large hospital systems. Somewhere between "Final Fantasy" in 2001 and "The Curious Case of Benjamin Button" in 2008, digital actors crossed the "Uncanny Valley" from looking strangely synthetic to believably real. This talk describes some of the key technological advances that have enabled this achievement. For an in-depth example, the talk describes how high-resolution face scanning, advanced character rigging, and performance-driven facial animation were combined to create "Digital Emily", a collaboration between our laboratory and Image Metrics. Actress Emily O'Brien was scanned in Light Stage 5 in 33 facial poses at the resolution of skin pores and fine wrinkles. These scans were assembled into a rigged face model driven by Image Metrics' video-based animation software, and the resulting photoreal facial animation premiered at SIGGRAPH 2008. The talk also presents a 3D teleconferencing system that uses live facial scanning and an autostereoscopic display to transmit a person's face in 3D and make eye contact with remote collaborators, and a new head-mounted facial performance-capture system based on photometric stereo. Paul Debevec is a research associate professor at the University of Southern California and the associate director of graphics research at USC's Institute for Creative Technologies. Debevec's Ph.D. thesis (UC Berkeley, 1996) presented Façade, an image-based modeling and rendering system for creating photoreal architectural models from photographs. Using Façade he led the creation of virtual cinematography of the Berkeley campus for his 1997 film The Campanile Movie whose techniques were used to create virtual backgrounds in The Matrix. 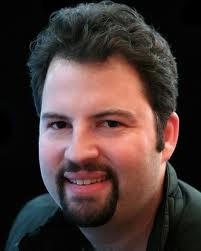 Subsequently, Debevec pioneered high dynamic range image-based lighting techniques in his films Rendering with Natural Light (1998), Fiat Lux (1999), and The Parthenon (2004); he also leads the design of HDR Shop, the first high dynamic range image editing program. 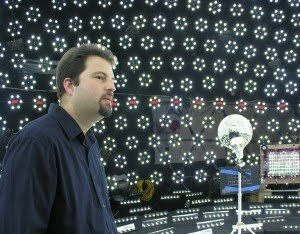 At USC ICT, Debevec has led the development of a series of Light Stage devices for capturing and simulating how objects and people reflect light, used to create photoreal digital actors in films such as Spider Man 2, Superman Returns, The Curious Case of Benjamin Button, and Avatar. He received ACM SIGGRAPH's first Significant New Researcher Award in 2001 and co-authored the 2005 book High Dynamic Range Imaging; he chaired the SIGGRAPH 2007 Computer Animation Festival is a member of the ACM SIGGRAPH Executive Committee, the Visual Effects Society, and the Academy of Motion Picture Arts and Sciences. 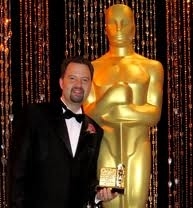 Earlier this year, he received a Scientific and Engineering Academy Award® for his work on the Light Stage systems.